A. Jaffe Diamond Wedding Band, .35 CT TW. Rev up the diamond sparkle with this beautifully crafted A. Jaffe stackable diamond band, .35 CT TW. Available in 14K or 18K white or yellow gold, or in platinum, this A. Jaffe diamond band can ride solo or can be added as a companion ring for a gorgeous wedding set. This diamond band is ideal for marking your special day of love or for commemorating your years of devotion to each other. You can find this A. Jaffe diamond band at Tara Fine Jewelry Company, Atlanta's first choice for exceptional jewelry and luxury Swiss watches by Rolex, Omega, Tag Heuer and Breitling. Always committed to helping our bridal customers with the finest selection in bridal jewelry, Tara Fine Jewelry Company features the latest styles by the most acclaimed bridal designers. 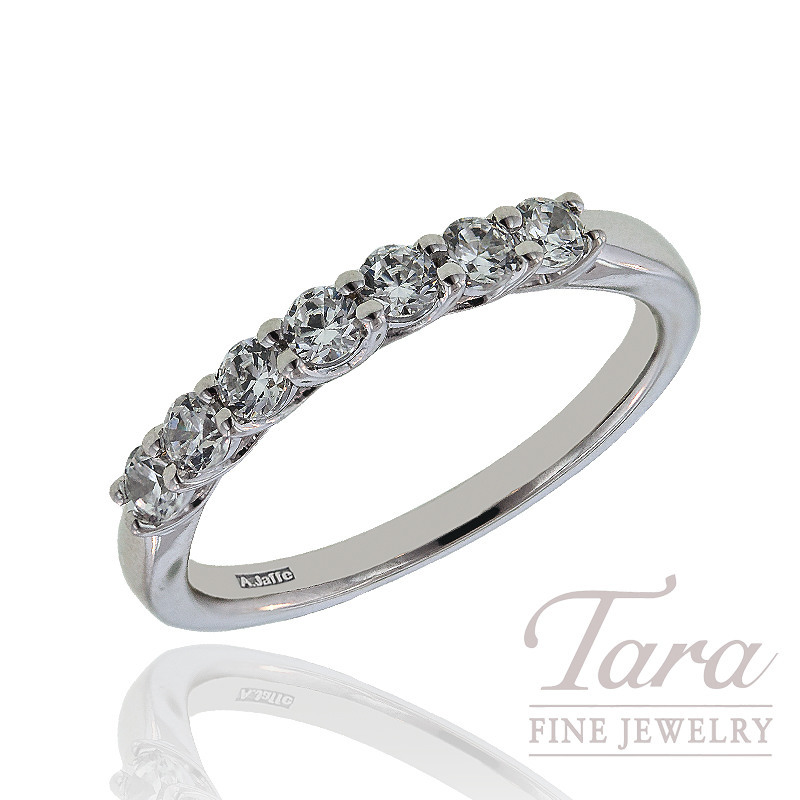 Let the diamond experts at Tara help you find the perfect ring of your dreams. A. Jaffe Diamond Wedding Band, .21 CT TW.